Apple has overtaken Google to become the world's most valuable brand. For the last four years, Google has dominated the BrandZ Top100 ranking of the most valuable global brands, which is compiled by Millward Brown. Apple took first place with a brand value of $153 billion displacing Google to second with a brand value of $111 billion. IBM took third ($101 billion), McDonald's was fourth ($81 billion), and Microsoft was fifth ($78 billion). Although the ranking covers all types of companies, it's interesting that the top five included four technology firms. Taking a look at the top 10, six were technology-based companies assuming we include telecom (AT&T and China Mobile) in the category. 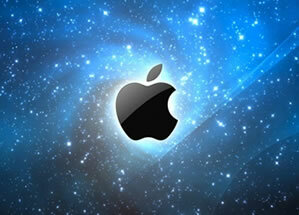 Apple increased its brand value by 84 percent between 2010 and 2011. The BrandZ index calculates brand value based on a number of factors, including an estimate of the brand's contribution to earnings, valuation of intangible assets, measures of customer perception, and an estimate of growth potential. Millward Brown explained that Apple has succeeded in emulating brands of luxury goods. When the company makes its products more expensive, it actually increases their desirability, rather than decreasing it. Google may not be able to hang on in second place for long. Although the company's brand is very strong, over recent years it has dabbled in various markets. Some have turned into wild successes (such as Android) while others have been miserable failures (Google Wave). This has diluted the overall Google brand and the company actually saw its brand value fall by 2 percent between 2010 and 2011, according to this particular report.